Icing On The Ring offers some of the most beautiful and affordable lab-cultivated diamonds on the market. Our evertrue collection is a variety of engagement ring styles handcrafted for our premier line of evertrue lab-cultivated diamonds. Here, the possibilities are endless. 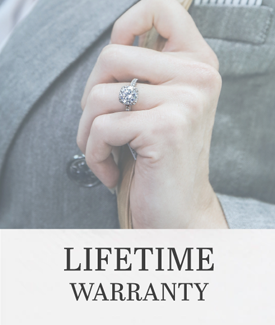 Ethical decisions on your everlasting engagement ring are easily feasible here at Icing On The Ring. Let the special moment of your graceful proposal be the direct focus of attention with a morally responsible man-made diamond. Refined as exactly as though Mother Nature had crafted these astounding diamonds herself, evertrue’s premier engagement rings are chiseled to ethereal excellence under the microscopic lens of jewelry professionals. Harvested in a laboratory, scientists’ systematic techniques are devised to produce lab-grown diamonds in such an environment which mimics the realistic manner of naturally occurring diamonds. Lab created diamonds do not lack the sparkle or shine of naturally grown diamonds, rather are seen through a meticulous lens of pristine perfection by evertrue’s lab specialists. Although gemstones can be another prime substitute, these lab-cultivated diamonds are formed in an environment built to thrive and luster from every surface of their being. These diamonds are featured on our evertrue engagement ring designs, however, can be carefully fitted into any engagement ring readily available at Icing On The Ring. Featured on a variety of styles, evertrue’s specialty is hand-crafting these rare lab-grown diamonds into the foundation best suitable to enhance their effervescent beauty. evertrue’s diamond rings originate in a variety of precious metals such as white gold, rose gold, yellow gold, and untarnished platinum. These distinct engagement rings come featured on either an engraved or polished finish, fitting for your specific taste on the precious metal selection of your choice. The evertrue diamond rings directly match and reflect your similar morals, ethics, and values. Premium cultivated diamonds designed from the hands of our experts onto the hand of your beloved.